8th Day Center for Justice organized this annual event before they closed their doors last year, but the tradition lives on! A committee of people have been meeting with former 8th Day staff to plan the 2019 Good Friday Walk for Justice around the theme of Justice: Truth in Action. We live in a post-truth culture, where “alternative facts” replace actual facts and polarizing judgments have more weight than straightforward evidence. In our post-truth world, it is not that the truth, science and facts have ceased to exist but that they are so easily dismissed. Please join us to boldly proclaim the truth, to call out the lies and to be a people that live the truth so that we can create a world of justice and peace. 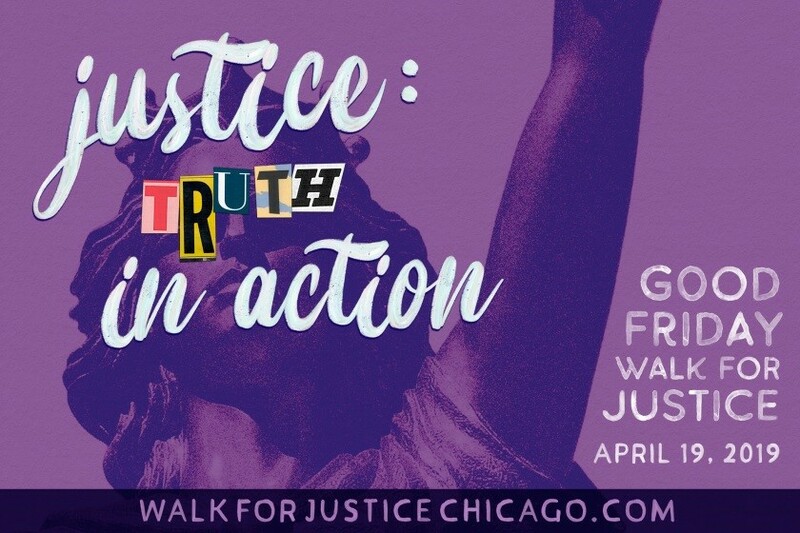 We are grateful to be joined in the Good Friday Walk for Justice by groups and organizations that are living the truth in action and awakening communities, creating change and transforming systems for the common good.